Comment: Slight wear due to storage. Interior of the book is clean copy. Over 1,000,000 Internet Orders Shipped....Buy With Confidence - Satisfaction Guaranteed! We Ship Daily! Book Ships Air Mail From Los Angeles, USA and may be subject to taxes/duties which are determined by country upon arrival. Please expect up to 14 days for delivery. From the Moonbeam Childrens Book Awardsbronze medal winner! Ever since humankind began seafaring, boats and shoreline adventures have produced sturdy, independent, creative, self-reliant kids. From the author of the bestsellingComplete Sailor and proud father of a boy mariner, here is the book for all parents who want to introduce their kids to the world of boats, boating, sailing, the shore, and the sea. It provides dozens of adventures and activities for kids, and a plethora of projects for you and your kids to do together. 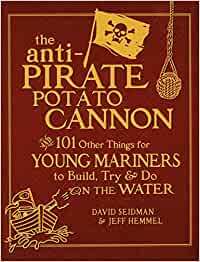 Topics range from how-to to fanciful, in random organization so that each excursion into the book turns up unrelated gems on facing pages.The Anti-Pirate Potato Cannon encourages your kid to get outdoors and on the water, to build things, to try things, to cultivate their curiosity, to learn self-reliance, and to get a giant dose of the magic of seaside adventure. Loaded with things for kids to do--build a rope ladder; build a Huck Finn raft from PVC pipe; catch and fillet a fish; go crabbing; skip a stone; body surf; waterski on bare feet; chart a cove; learn the great sea battles; build a sandcastle; navigate; win a sailboat race; paddle a sea kayak; and a whole lot more. Designed to cultivate a kid's curiosity about the natural world. Start reading The Anti-Pirate Potato Cannon on your Kindle in under a minute. David Seidman (Oak Beach, NY) has spent a good portion of his life finding his way around the world. He has crossed oceans, toured central Asia and Mongolia without a map or the ability to speak the language, and found a Mayan ruin in Guatemala. He is the author of The Essential Sea Kayaker, The Essential Wilderness Navigator, and The Complete Sailor and a former editor of Boating magazine. 5.0 out of 5 starsGreat Father's Day gift! First of all this is a very nice looking book. Most important, is the fact that the content is both fun and interesting as many water subjects are covered, including water safety. 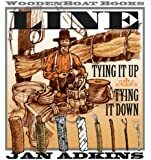 You can tell the authors' have many years of experience on the water and are willing to share their knowledge for the edification of the average person, or just to remind the reader of things that they/we have forgotten over the years. If you are looking for a gift, or an up coming Father's Day gift, this mini Tome is perfect! I really do not have any criticisms, as the Anti-Pirate book surpassed my expectations and surprisingly is not a light weight read, made up of filler, as some books tend to be. Did I mention, the cover looks great? I like the book, we keep it on our boat. There are cool activities to try. However, some of the activities/crafts require way too much "stuff" to complete successfully, just not always conducive to dragging all those materials on board. That being said our family still likes it and I'm glad I bought it, just not completely up to my expectation. 5.0 out of 5 starsGreat book for children of all ages. I just breezed through this book last nice since it's to be a gift for the kids of some sailing friends of ours. It looks like there's plenty of projects to keep the 4 year olds all the way up to the 99 year olds busy. There's also lots of side notes with famous quotes about sailing or the sea, as well as many historical facts and stories.